Created from 100% recycled material, these 300 metre rolls come from a sustainable source and are perfect for a variety of different office tasks. 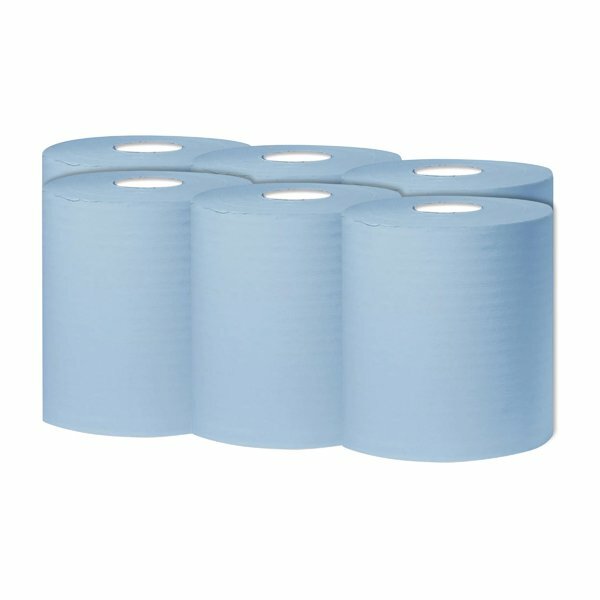 These versatile rolls can be used to mop, absorb, polish or dry with equal efficiency, which means that they are an ideal solution for complete office cleanliness. 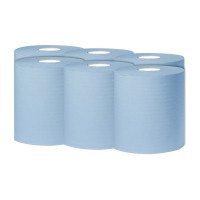 Suitable for use in centrefeed dispensers, this pack contains 6 blue 1-ply rolls.